Liverpool's Sadio Mane will not face any FA action after an alleged altercation with Arsenal's Stephan Lichtsteiner. Mane appeared to put his hands around the neck of the Swiss defender during Saturday's 5-1 Premier League win over Arsenal at Anfield. Match referee Michael Oliver saw the incident - which happened after just seven minutes - and awarded a free-kick. 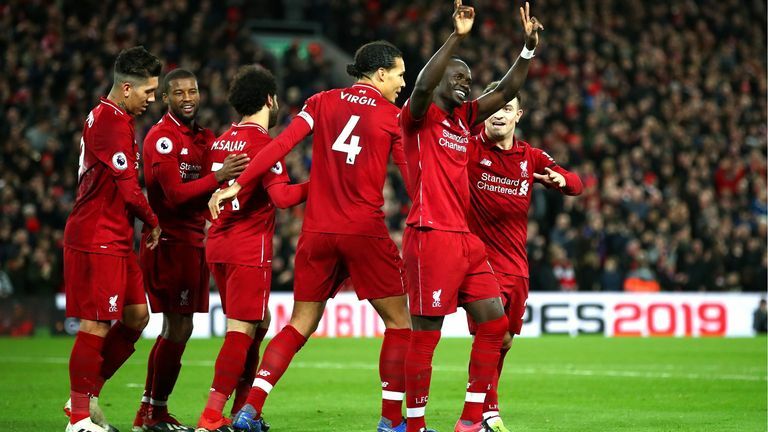 It is good news for Jurgen Klopp's side with Mane now available to play against Manchester City on Thursday, live on Sky Sports. Liverpool lead the Premier League seven points ahead of Pep Guardiola's City. Guardiola said at the weekend that City would have to beat Liverpool on Thursday or the fight to retain their Premier League crown would be over.